St. Patrick's Day is only a few weeks away, and it is one of my favorite holidays. That said, I am always looking for fun ways to celebrate. I have seen rainbow cakes and even rainbow cupcakes, but my boys love pudding. So, I thought I would make some rainbow pudding cups. 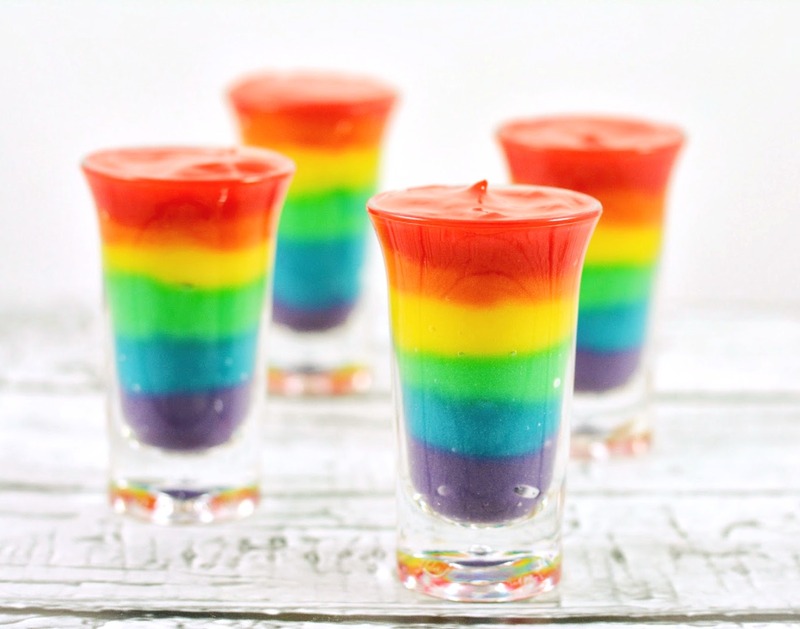 I put them in little mini shot glasses and it makes the perfect little fun afternoon snack. Step 1: Prepare your pudding according to package instructions. Step 2: Separate the pudding into 6 different bowls. You can get about 3 heaping tablespoons of pudding in each bowl with an average size box of prepared pudding. If you need more, just add another box of pudding. Step 3: Place a different color of food coloring in each bowl. For purple, you can use blue and red and for orange, you can use red and yellow. Stir thoroughly and add more food coloring as needed to get the colors you like. Step 4: Layer the colors of pudding in a glass or jar and serve. I don't know what it is, but these little rainbow pudding cups just put a smile on my face. What fun treats do you like to make for St. Patrick's Day? Now this is a fun idea! I can't wait to try! No wonder they make you smile. They look adorable and they're easy to make too. Oh these are so pretty! My kids would think I'm the coolest ever! The colors turned out so vibrant. I know my son would love this! 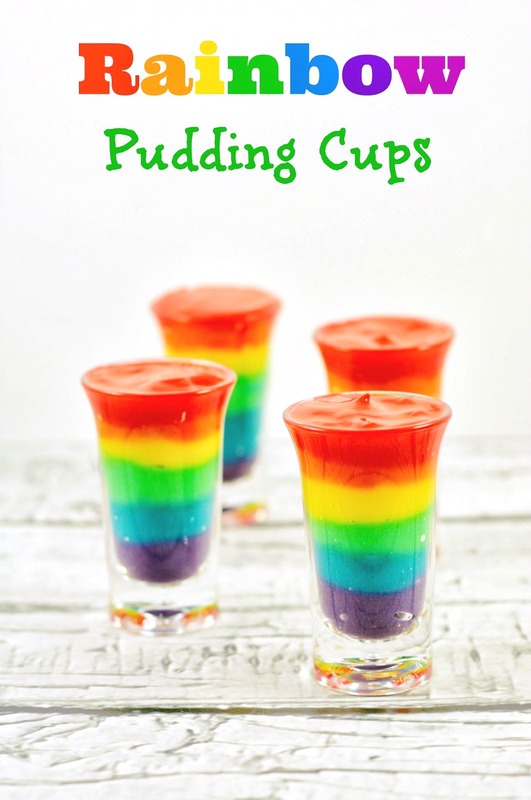 These Rainbow Pudding Cups look so tasty and festive. They're sure to delight! These look so fun! What kid wouldn't want to eat them! I saw a layered recipe for smoothie like this made only with different frozen fruit. So pretty. Those are super cute! I may have to make them for St Patrick's Day, too! Now how on earth did I miss these. Pretty!